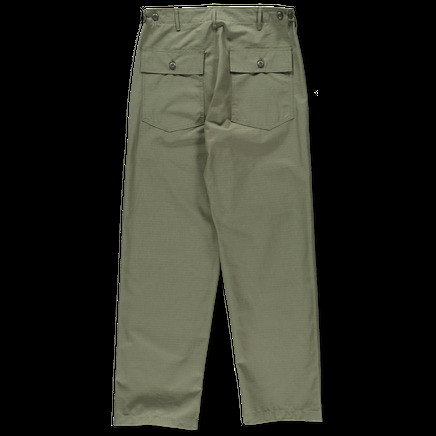 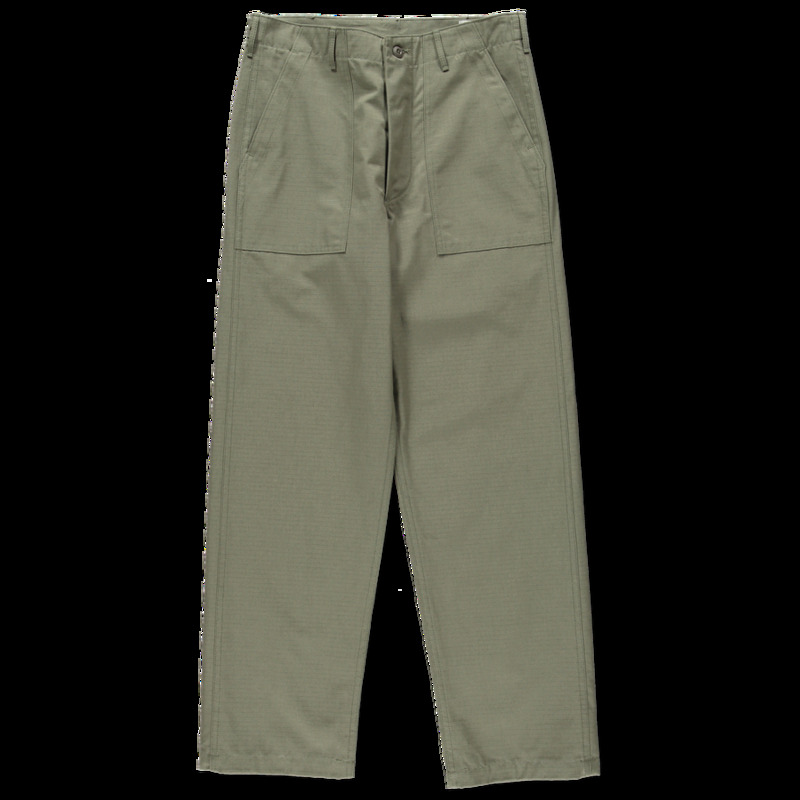 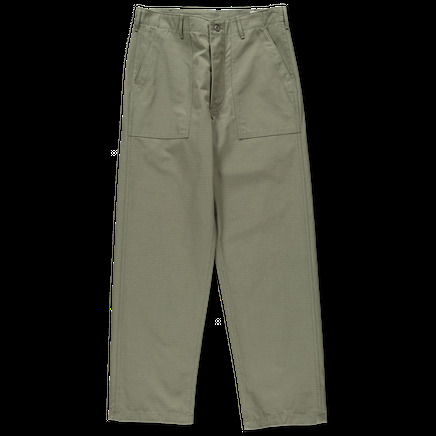 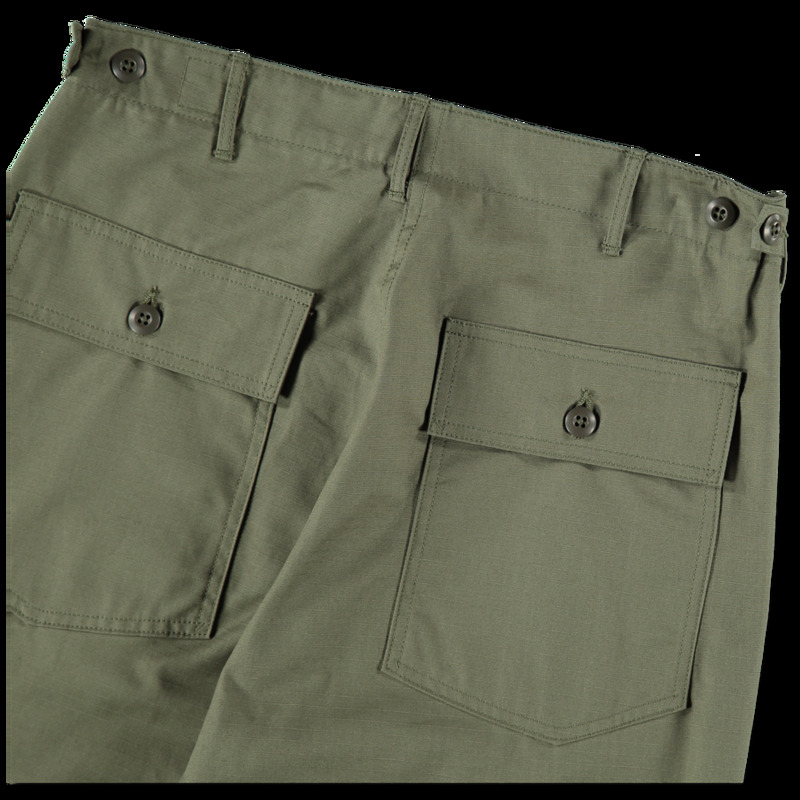 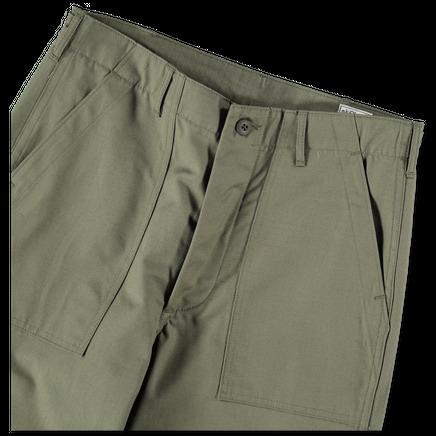 Vintage Fit Army Fatigue Pants in a durable ripstop cotton fabric. Button and zip closure, cinch waist. Large front patch pockets and two back flap pockets.